We already have glasses with computers led by Google Glass and the Lumus Light-guide Optical Element. Smartwatches from various manufacturers are already available on the market. There have been smart bands recently introduced at the Mobile World Congress in Barcelona. With all these, something intended for the digits is bound to be developed and made available for the mass market. Get to know the Logbar Ring, a wearable tech product designed for the fingers. It is a small Bluetooth enabled ring that can perform a variety of functions. The device looks rather big for a typical ring but it’s of course expected considering how much electronics need to be fitted into the tiny device. It also has to pack a decent enough battery size to supply everything in the ring that requires power to be operational. The Ring has motion sensors, a touch sensor, Bluetooth chip, LEDs, and a small vibration pad. It comes with a button on the side for activation. Alerts and notifications are shown through the flashing of the LED lights, through vibration, or both. 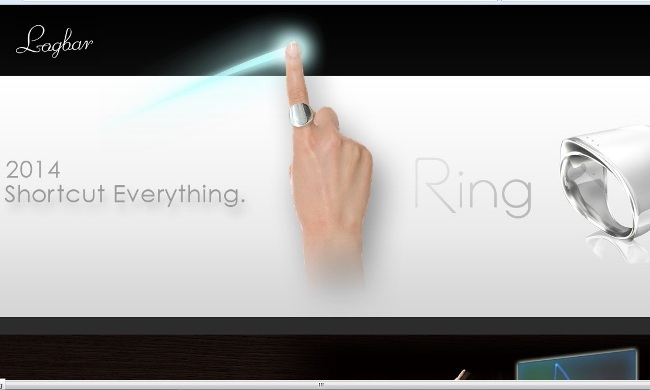 The Ring’s ability to control devices is mainly through gestures. There device already comes with pre-set gestures but these can be personalized through an iOS or Android app, to suit user preferences. There have been many ring devices created over the past years. Some come with clocks. Some connect to smartphones to serve as notifiers. There are also those that merely serve as locating chips. Arguably, none of the previously announced rings comes close to what the Logbar ring offers. This wearable tech is more than just an alerts and notifications device. It is a ring created to communicate with or control various devices. When paired with compatible devices, it can turn lights and appliances on or off. 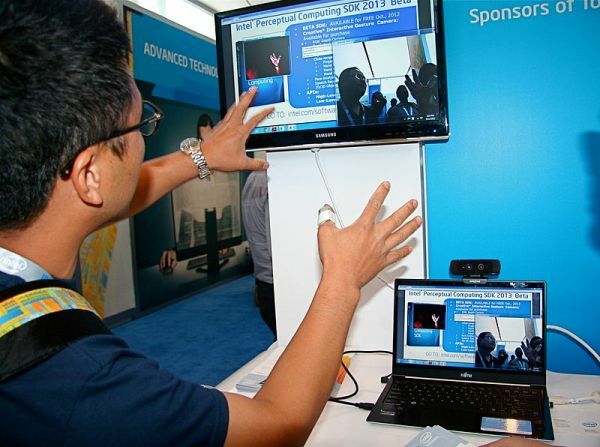 It can connect to smartphones, tablets, as well as laptop and desktop computers. It can also interact with smart TV sets. You may ditch your TV remote control with the Logbar Ring worn on your index finger. This device was created to facilitate better interaction with smart electronic, focusing on gestures instead on the need to push buttons or interact with touch display. It can even be used during presentations, to control projectors or to point certain elements projected on a screen. Since the ring comes with Bluetooth connectivity, it is possible to use it in finding Bluetooth enabled electronic devices. This is not a feature that comes right out of the box but it can be made possible through Android and iOS apps. If you are familiar with Japanese animation, you have probably seen many scenes wherein characters draw words or letters in the air to “summon” or bring out certain items. You can do something slightly similar with the Logbar Ring because it can recognize texts drawn in mid air. Paired with an app that can perform actions while texts are being sent to a mobile device, this feature offers an interesting array of possibilities. Additionally, the Ring can also be used for electronic payments. The Ring can be configured to work with iBeacon so you can pay for transactions at stores that support the iBeacon system. With the ring, you can easily access your electronic funds to pay at counters without the need to bring out your smartphone. Simple gestures will get the job done. Unfortunately, the Logbar Ring has one flaw that will eventually bind it in the dark. The battery of this device is not rechargeable. The battery is rated to last for up to 1,000 gestures but it cannot be put on a dock or connected to the power outlet for charging. Once the battery runs out, you need to replace it. 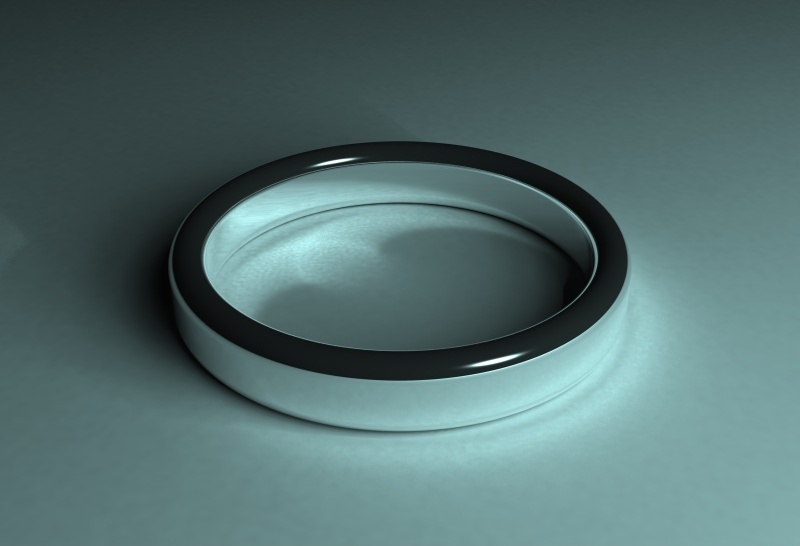 It’s unlikely for wearers of this Ring to always carry a spare battery around so once the LED lights dim away, the Ring goes into darkness unless the battery is replaced. Admittedly, the Logbar Ring still looks a tad big for a ring that can be worn all of the time. Just like other relatively new wearable tech products, It’s not really that unwieldy but having such a relatively big ring may not be that comfortable for some. Still, it’s a great device that hopefully gets upgraded for better power efficiency and a more compact body. The Logbar Ring is expected to be available for most markets in July. It can be pre-ordered for $145. There is no word yet on the final retail price.